The Malvern - Advanced Electrolysis: Removal of Skin Tags, Milia, Warts, Veruccas, Red-veins, etc. The Malvern now offers a highly-specialised but quick and easy treatment for the removal of skin tags (and other similar cosmetic blemishes such as milia/whiteheads, warts, veruccas, red-veins, etc.). Alternative treatments usually involve either private hospital treatment and/or specialist clinics in Harley Street - with commensurate prices. Skin tags are treated using a specialised electrolysis probe to remove and cauterise the tag and can usually be removed in one treatment following a consultation. 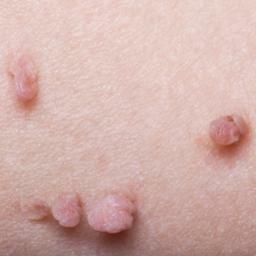 Removal is normally permanent and multiple skin tags can be treated in a single appointment. Once healed, the skin usually returns to normal with no scarring, blemishes, or evidence that a skin tag was once there. Please contact The Malvern for further details.